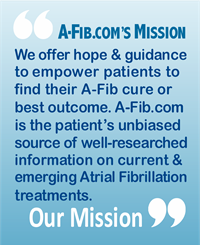 I have been cured of A-Fib since 2011 and simply wanted to share my testimony with you and your readers at A-Fib.com. 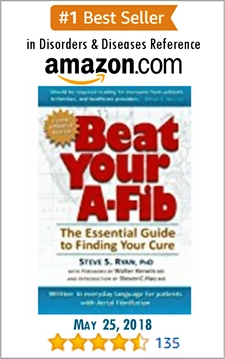 I struggled with A-Fib for almost eight months in the year of 2011. It began in January, and I had episodes of it throughout the year. My episodes weren’t too bad—as in I never had any side effects of the A-Fib like fainting or clotting. The only real thing I had during the episodes was an irregular heartbeat and a fast heart rate. Being as young as I am and having a family of my own, it was a lot to have on my shoulders. 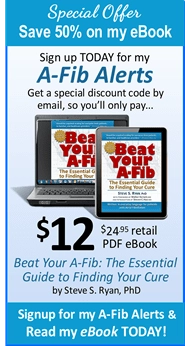 I knew of another way that the A-Fib could go away—by God supernaturally healing me. Well, in August of 2011 I asked the pastors of my church to pray for me that God would heal me. After the Sunday service they prayed for me. And a week after that my A-Fib was gone. I was healed by prayer. I haven’t had an episode or problem since 2011! It’s a miracle! I am not writing this to refute your book, Steve, nor am I saying that the medical field should not be called upon for help in the time of need. If it wasn’t for the great physicians here where I live on the East Coast, I would be in bad shape—who knows what would have happened if they didn’t break those episodes I had. 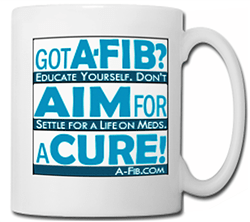 And, I’ve read testimonies of others where medicine helped them with, if not cured, their A-Fib episodes. 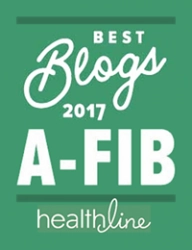 I simply wanted to share with you my experience – since it included A-Fib. Who knows—maybe God can bless you through my e-mail. How to Send Your Request: Send your request to our coordinator, Barbara. Write to barbara: babareeba(at)aol.com (substitute an “@” for the “(at)”). Join our Group: We invite you to join our ‘A-Fib Positive Thought/Prayer’ group. 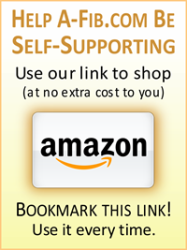 Learn more on our page: The Healing Power of Hope, Belief and Expectations. All are welcome.